Good morning! I hope you are all having a great Monday! 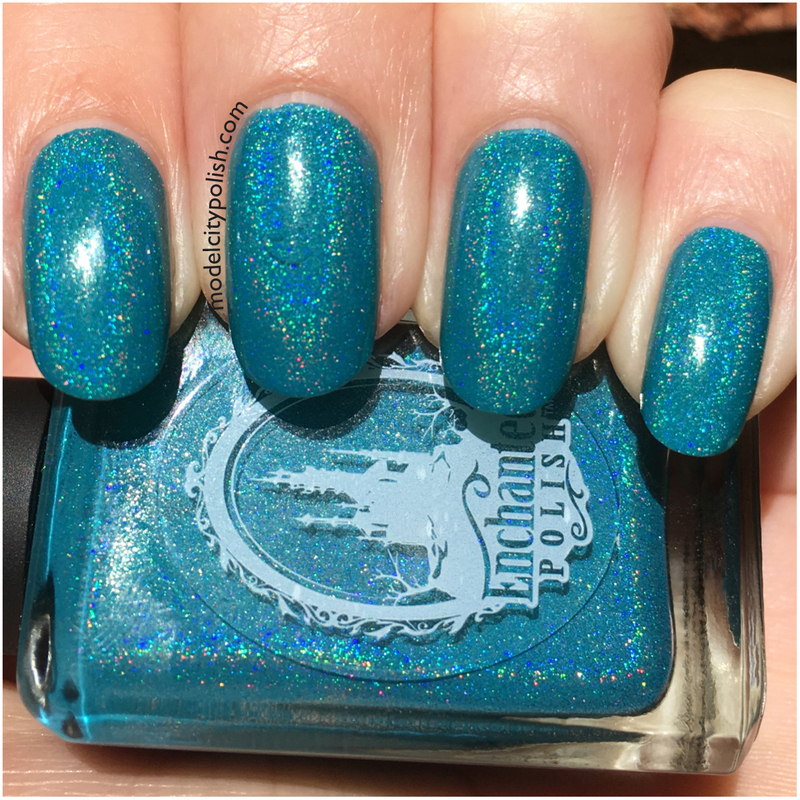 I am back today with another lovely blue lacquer to kick off the week. 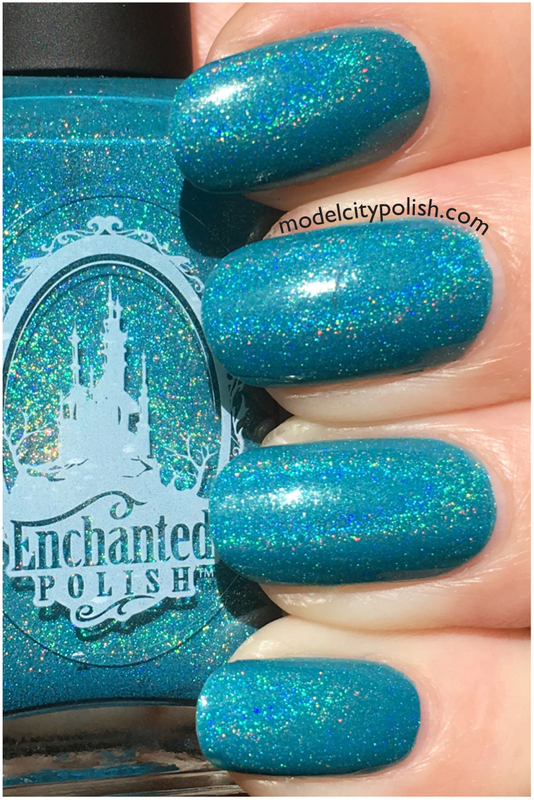 I realized that I had yet to share proper swatches of one of my favorite Enchanted’s and thought this would be the perfect time to share. 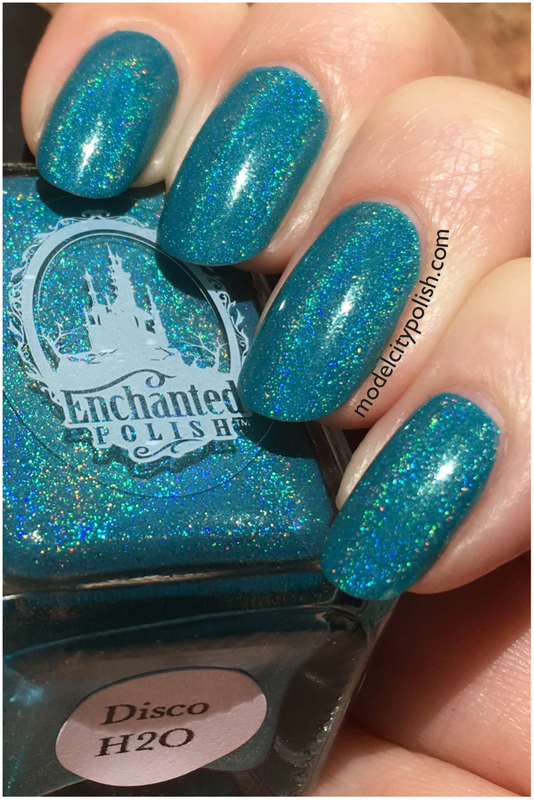 Disco H20 by Enchanted Polish is a gorgeous bright teal blue holographic lacquer. Application, formula, and coverage are all perfect. Depending on how you apply and your nail length, you could get away with just one coat. Out of habit, I went with two. In my photos I am wearing two coats of Disco H20 and one coat of SuperChic Lacquer Liquid Macro Top Coat. Wow, that color is stunning! Obsessed. It is even more stunning in person!!! Gorgeous! I love love love this one. Me too!!! One of my favorite EP’s for sure!! EP always blows me away! Me too!!! I swear this stuff is made with magic!!! that is so saturated and lovely! It is very saturated but non staining so win win!!! Look at that holo !!! I could do that all day!!!! Fantastic pick for your first!!!! Welcome to the dark side!!! Love the holo. 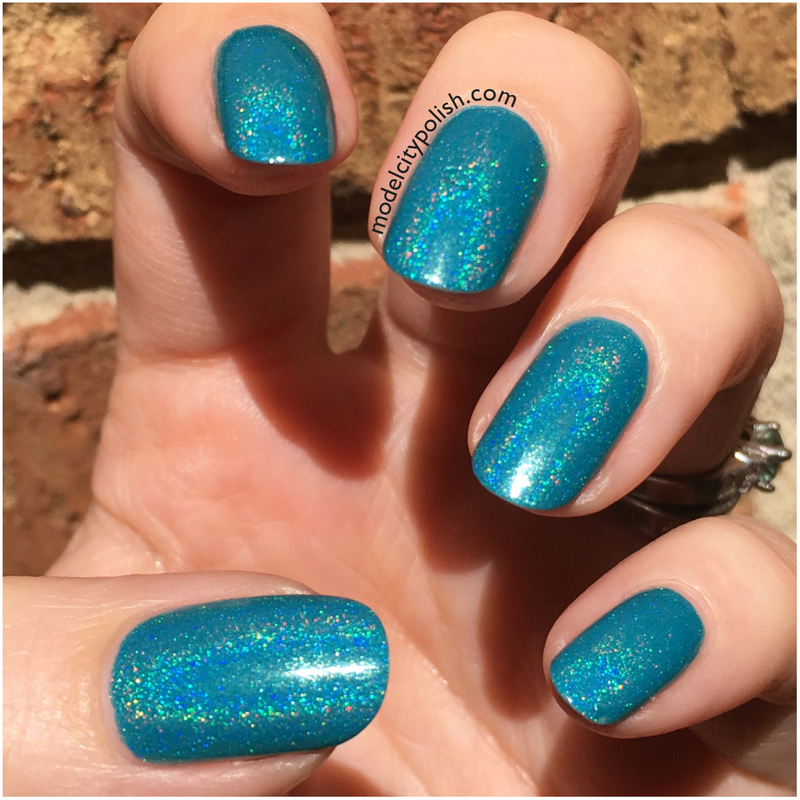 This is a beautiful teal for Summer. It has the perfect beachy feel!!!! Such a gorgeous shade of blue!